Muslims are still linked to the 9/11 attacks due to the vicious media coverage that followed. Now with the Christchurch attacks being conducted by people from Christian backgrounds, it’s time to disentangle religion from terrorism. 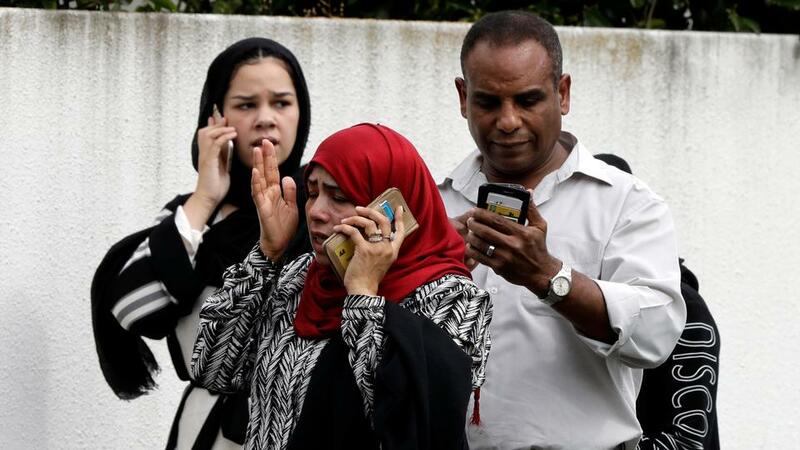 With bated breath, Muslim communities around the world waited to hear how Friday’s mass shootings in Christchurch, New Zealand, would be characterised. Initially, New Zealand’s Prime Minister Jacinda Ardern condemned it as “one of New Zealand’s darkest days”, and “an extraordinary and unprecedented act of violence”. At least 49 people were killed in attacks on two mosques in the coastal New Zealand city of Christchurch, including one mosque’s imam, with around 20 others injured. They had gathered for the weekly Friday congregational prayer. It wasn’t until a couple of hours later that the Australian and New Zealand prime ministers publicly referred to the shootings as terrorist attacks. Other countries who were among the first to do the same were Indonesia, Pakistan and Turkey, with Jakarta having the closest relative proximity to New Zealand. The statements may have elicited reactions of consolation that an attack on Muslims was also being labelled as terrorism, but do they still have an element of hypocrisy, not by what they’ve stated, but by what they’ve left out? Generally when a Muslim is the perpetrator of an attack, his race, origins, and religion make immediate headlines. In this case, one of the shooters, Brenton Tarrant, has not been referred to as a “white terrorist” or a “Christian terrorist”, even though his detailed 74-page manifesto has clear racial and religious references. Through these statements, it is clear that Tarrant deliberately and carefully planned an attack against a specific type of people that he didn’t approve of. No religion should come under attack as a result of violence committed by its adherents, but why has the term “Islamic terrorist” been normalised? Has this become a form of psychological warfare from the echelons of power, in an attempt to create some form of word recognition associating Islam with terrorism, without implicating anyone else in identical situations? Although these are words of embrace and inclusion, they do not mention Muslims as the victims, even though it was already clear that the attacks were at local mosques and occurred at the time of Friday prayers. Even in what has become common language, certain Christians with dreams of institutionalising their religion are called ‘evangelicals’ with no mention of Christianity, while Muslims are referred to as ‘Islamists’, with their religion implicated in the term. When the perpetrators of such terror attacks turn out to be Muslims, it becomes common among journalists and TV anchors to use terms like ‘Islamic terror’, ‘Islamic fundamentalism’ and ‘pan-Islamism’ and spend a lot of air time holding debates about the dangers of what many describe as an ‘Islamic Caliphate’. At times to sensationalise primetime shows, analysts espousing far-right views are given space to make insinuations about Muslims and immigrants. The irony is also completely lost upon the world that one of the words that ‘Islam’ derives from is ‘salaam’ which means ‘peace’, whereas Islam has been associated with violence by people with political agendas. Other terms such as ‘white supremacist’ also don’t use the combination of ‘white terrorist’, as opposed to the common use of ‘Arab terrorist’. The same often happens along racial lines when covering crimes in places like the United States. Crimes of theft and violence implicate black offenders, but after the Colorado theatre shooting in July 2012, James Holmes was not described as a ‘white shooter’. In the wake of violent attacks, religious leaders, racial activists, and the general public tend to reach across the aisle to stand in solidarity with the groups affected by violent events.